New offerings from BMT Micro: the Importance of a Marketing Analysis | BMT Micro, Inc. In Business, it is important to set benchmarks and continue to strive to do better than prior years. Most companies look at their stock value and profit for the year. However, with the important presence of social media and target marketing, how do you benchmark your success in your Marketing efforts? Are you doing research and analyzing your Marketing efforts? This is important to evaluate and to continue to evaluate year over year. It is crucial to figure out what is working, what is not working, and adjust accordingly. Analyzing your Marketing efforts may be difficult for a company to do internally because you are either lacking the resources or are unsure where to start. A solution would be to outsource the analysis and other Marketing services. BMT Micro has recently begun offering some Marketing services for our vendors. This would typically involve us starting with a Marketing Analysis to get an overview of your current Marketing efforts and where you could improve. It will include the following and more: your current website and ways to improve it, SEO and Social Media performance, Digital Reputation Management results, Target Market, what your competitors are doing, and ways to improve Advertising and Branding. After the analysis we could offer different services, where we will participate in the promotion of your product, based on what areas the Marketing Analysis says needs improvement. 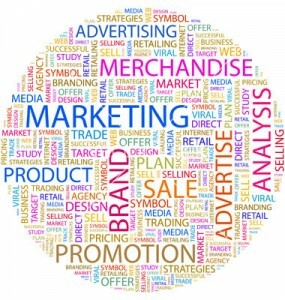 There are definite benefits to conducting a Marketing analysis. One benefit is that it can help you identify opportunities in your marketplace. Through the research done, an untapped product or market may be evident. It also helps you minimize your risk by gathering information that will aid in your future business decisions. The analysis can also be used to measure your reputation among consumers. It is always good to know what your customers are saying about you and what they are saying about your competition. If you are able to contact and change a customer’s perception, who has posted negatively about you, then you will most likely gain a loyal, life-long customer. The analysis could also uncover any problems you are having with your current Marketing plan. For example, you are targeting men, ages 45-40, but the analysis shows a high demand for your product among men, ages 22-30. This information can help you adjust which consumers you are targeting through your Advertising campaigns. Lastly, it will help you plan for the future. By identifying current opportunities and problems and reviewing your past sales performance, you will be armed with the information needed to put together a successful business plan to improve your bottom line. The Marketing Analysis and other Marketing services are currently available for our vendors. If you would like to learn more, please contact our Marketing Specialist via e-mail at katie@bmtmicro.com for more information.